World Class Firearms Training…Anywhere, Anytime. 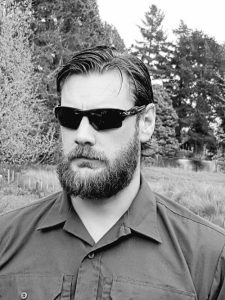 My name is Jeremy Geurtjens and I am the founder of Tactical Classroom Limited. My background is Law Enforcement Counter Terrorism. My skill set includes but is not limited to Hostage Rescue, Sniper Operations, Close Protection, and Firearms Instruction. I created Tactical Classroom to ensure World Class Firearms Training was accessible to anybody who is serious about taking their skills to the next level. We offer training solutions that are suitable for EVERYONE...anywhere in the WORLD! Tactical Classroom is an excellent long range course which can cater to beginner and advanced shooters. If Jeremy didn't know the answer straight away he went out of his way to find the answer and deliver it in a no BS, interesting way which the student could understand. Before the course, 300y was a LONG shot and so finishing on Sunday shooting out to 1250y was UNREAL. Click Here To Take A Look At Some Of Our FREE Downloadable Resources. Click Here To Take A Look At Some Of The Most Popular Wind Formulas Used By "Practical" Long Range Shooters. Click Here To Take A Look At Some Of The Most Popular Formulas Used By "Practical" Long Range Shooters. 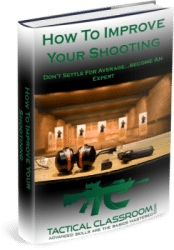 "How To Improve Your Shooting"
No Thanks. I Don’t Want To Improve.